1pr Saddle bags made of Matt cow hide. 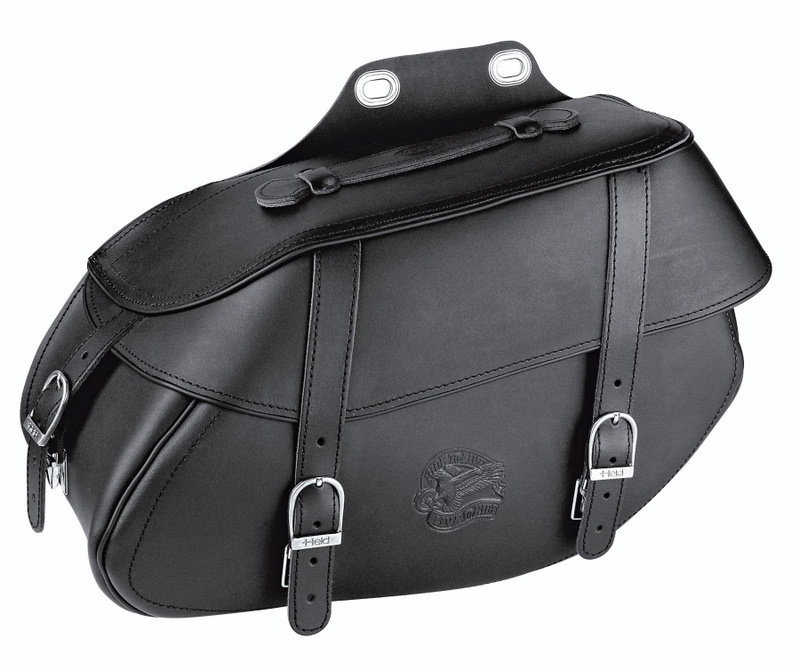 Large 20 litre saddlebags with 2 front Straps that hide a practical click buckle, and a side fastening buckle. Large opening cover. Plaited leather edges. 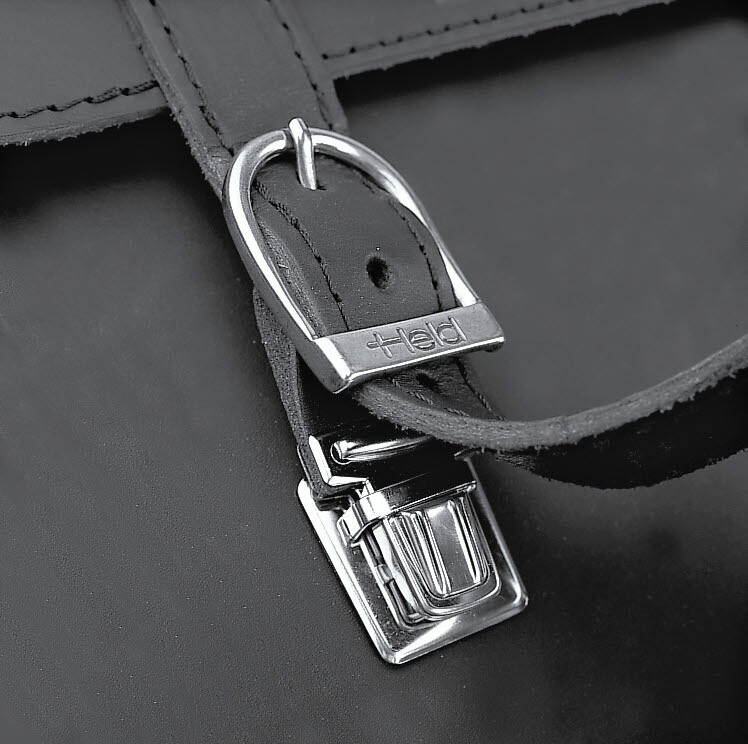 Embossed 'Live to Ride' motif in the leather..